Interested in starting a new Kinsmen, Kinette, Kin or Kin Campus club? Exclusive member benefits and more! It's a great opportunity to change lives, better your community and get support and training from an established, respected and nationwide Association. Your new club can organize projects and events, such as raising funds to support individuals or families in need, sponsoring sports teams and building parks and community facilities. 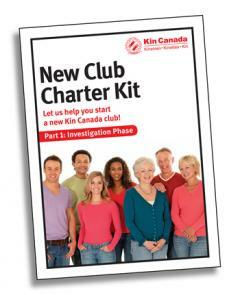 Kin Canada provides the tools and support you need to charter and run your own club. Your club members decide what projects to do in your community. Serve your community's greatest need today! Interested students can find all they need to know on our Kin Canada Campus Club page. Contact Melina Hayward, Member Services, at mhayward@kincanada.ca or call 800-742-5546, ext. 201.